GovernmentCIO has a single goal: To be the preeminent source for new ideas in transforming government IT. 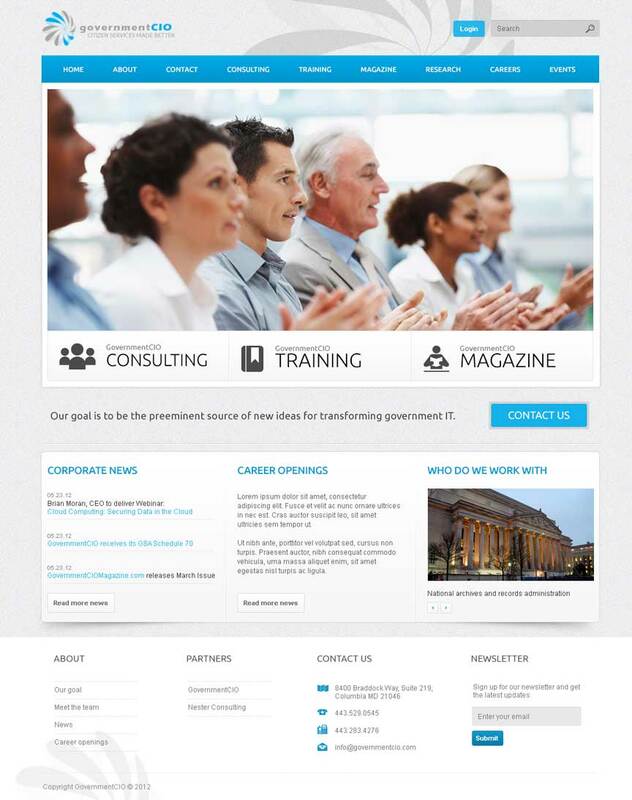 Through an existing client referral, GovernmentCIO's team contacted Daymuse about creating a new corporate website for their company. They already had their design created and intended to use the Drupal Content Management System to handle their content moving forward. In addition, they wanted to continue to use their Rackspace Cloud hosting to serve the site.